Newspapers, including New York’s second and third largest newspaper by daily circulation (The New York Post and Newsday), have started publishing editorials on the convention. So far, at least six major newspaper editorial pages have endorsed a convention. The only daily newspaper to run an opposing editorial—in its case, two—is the relatively small Niagara Gazette. However, some newspapers won’t publish editorials until later this month, so the jury is still out. Conspicuously absent so far is the New York Times, which has also published less news coverage of the referendum than any of the top five newspapers in New York State. In terms of grassroots lobbying, the contest isn’t even close. My guess is that the no campaign has at least a thousand-to-one advantage in yard signs, car bumper stickers, and phone banking calls compared to the yes campaign, and I wouldn’t expect this ratio to change between now and the election. In terms of letters-to-the-editor, the no campaign is also way ahead but by a smaller ratio. Many of the letters follow a template, but that won’t matter for most local readers. Note that the New York State Constitutional Convention Clearinghouse is especially weak in posting letters-to-the-editor because many are behind a pay wall. In terms of op-eds, the yes campaign is far ahead in terms of both quantity and diversity of content. My guess is that the no campaign will reduce but not close the quantity gap during the next two weeks. The second round of campaign finance disclosures has been released. But as an excellent Politico New York article explains, there are so many loopholes in the disclosure rules that the reported tallies are practically useless. As an aside, I have found the New York State Board of Elections to provide awful service in terms of providing timely and accurate information about its campaign finance disclosures. For example, its technical staff won’t talk to reporters, but its PR staff don’t understand and cannot even find their own written policies regarding ballot disclosures, let alone provide information on whether or how those policies have actually been implemented. Its website for looking up campaign finance disclosures reminds me of the ugly and buggy online databases from the 1990s. 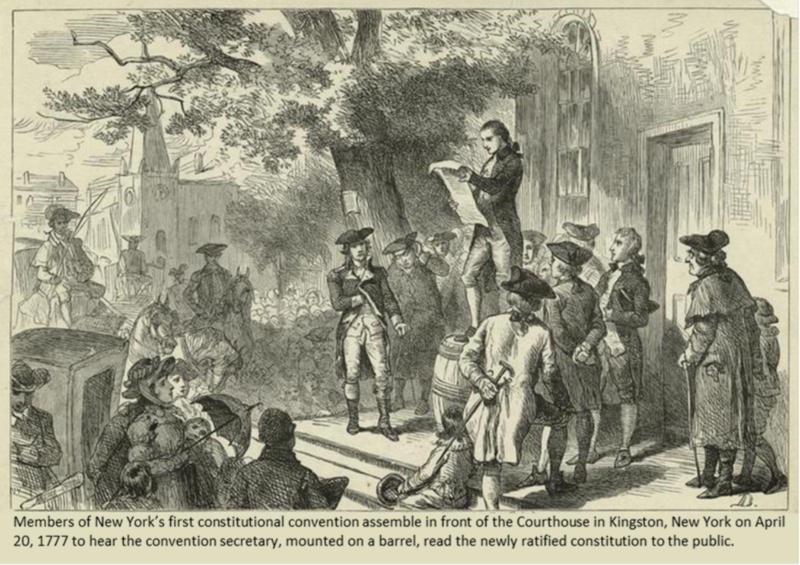 The New York State Constitutional Convention Clearinghouse has launched several new sections. The one that I expect will be of greatest interest is its comprehensive collection of pro & con ads. I have been writing a column for City & State on the upcoming referendum. The latest, 11th Hour Barrage: Why Opponents Attack The Constitutional Convention Process—Not Its Substance, was published today. My column last week was The Historical Antecedents for New York’s ConCon Debate. 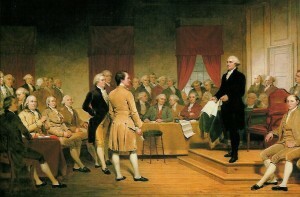 Last month U.S.A. Today Network ran a column of mine, Don’t trust a Constitutional Convention? Then you don’t trust the people. News articles have continued to be published at a fast pace, more than fifty since my last newsletter on September 5, 2017. On Mondays, I have been updating them for the prior week, but I will try to update them more frequently during the last week before the referendum.